Former Chelsea midfielder John Obi-Mikel has joined Middlesbrough on loan for the rest of the season. The 31-year old, who left Stamford Bridge on a free transfer in January 2017 has been playing for the past two years in China with Tianjin TEDA, but has been looking to move back to England, where his wife and two young children continue to live. Both Roma and Wolfsburg were interested in signing him according to The Sun, but he has opted to join Tony Pulis’s side as they look to mount a promotion challenge. 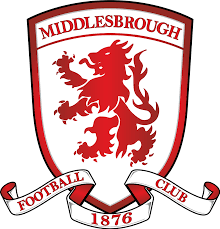 Boro are currently sit 5th in the Championship table, in the play-off places but 7 points behind leaders Leeds United. Obi-Mikel spent 11 years at Chelsea, making 374 appearances for them in all competitions, and collecting a raft of winners’ medals during his time there, including 2 Premier League titles, the FA Cup three times, the League Cup, the Champions League and Europa League.